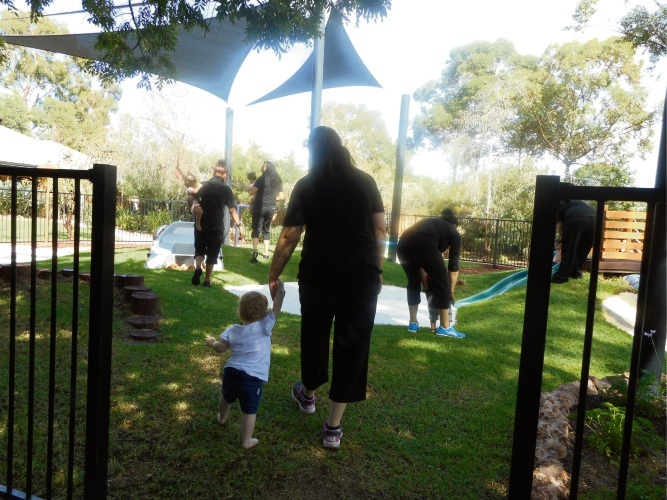 The new Nature Scape Children's Playground at Boronia Pre-release Centre for Women in Bentley. A PLAYGROUND initiated by the residents in Boronia Pre-release Centre for Women in Bentley has been opened after 20 months in the making. The Nature Scape playground features herb, flowers, lawn, trees, wood and sand for children to develop their motor skills in nature. 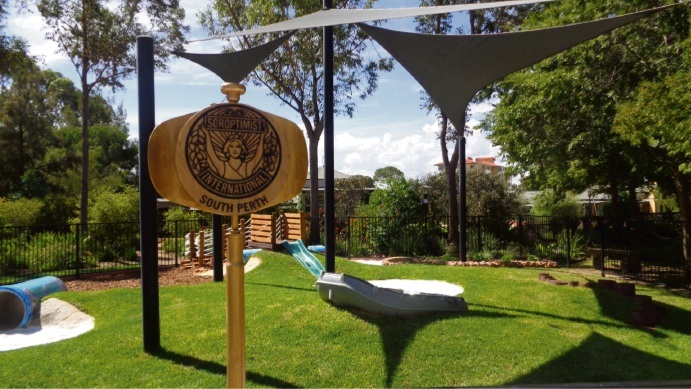 Acting Superintendent Kymberley McKay said the women in Boronia developed skills including planning, landscape design, plant selection and event management for nearly two years to build the playground. “Many of the women have used the project to advance their studies in certificates at several levels in construction, horticulture, logistics and community development,” he said. Soroptimist International of South Perth and Rotary Club of Como each gave $5000 for the project and Manning Men’s Shed provided expert help. Manning Men’s Shed co-ordinator Allan Waugh said the playground equipment they made included a noughts and crosses board, a static tractor and a xylophone. “For the xylophone made of spanners, we get a lot of tools donated for us here and some of them we’ll never use,” he said. Soroptimist International of South Perth president Kaye Hill said the collaboration with Boronia residents embodied their commitment to educate, empower and enable women and girls. “We hope they have felt a sense of achievement and empowerment in seeing their efforts come to fruition,” she said. The original playground was demolished because of health and safety issues in 2017.